Twist and turns again and again. Well done Mr Elton. It's a theme that so many of us think of doing - what if I could go back in time and change history with a single bullet. This has been done with sniper like precision and a thinkers touch. Bravo! 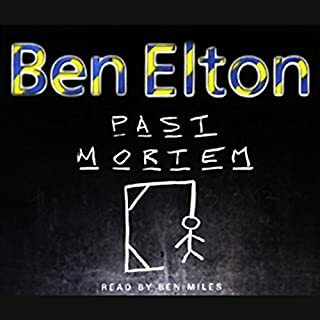 What a great story, Ben Elton is a fantastic writer. As the storylines come together and the twists and turns kick in, I found myself totally caught up and desperately wanting to know what happens next. Jot Davies' narration is perfect and bring it to life. As soon as I finished it I restarted just to pick up all the clues I missed along the way. Clever, engrossing, race to the end! 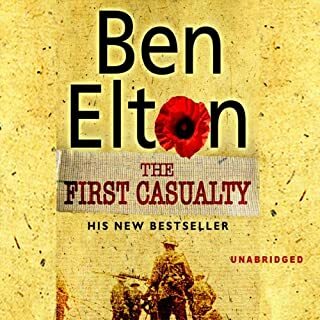 My first Ben Elton book and it was a cracker. It expands on an intriguing time-travelling premise, sets a great pace and is cleverly told. Definitely "hard to put down" and has a lot of twists and turns. Ben Elton doesbit again. Great story, great characters and brilliantly narrated. I am not much for writing reviews. Just get it and enjoy it. This would make a fantastic movie. I love everything Ben Elton writes but this is my new favourite. I loved this book. I find Ben Elton quite original. His hypothesis is frighteningly real. The narrator was excellent too. A great alternative read for history buffs. loved the concept and the thought out story lends one to ponder just how finite yet infinite humanity truly is. What happens when a bunch of academic historians actually get the opportunity to change history? Well, I think you can imagine that the results are not what they expected - and not necessarily of benefit to the present and future. This is an often fascinating look at alternative histories, of the "be-careful-what-you-wish-for" variety. There's lots of action and some quirky and interesting characters in both the past and present sections of the book. 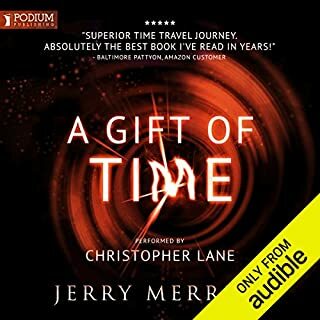 For time travel genre fans, it's a real winner with excellent narration. If, like me, you tend to find yourself asking too many questions and thinking too many "but"s, just remember to suspend that gut disbelief in the whole concept - you'll have a good time inside "Time and Time Again"! An exceptional book and one which should be read by any history student and professor alike. 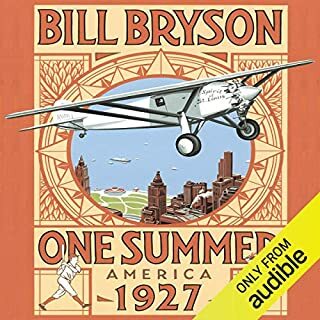 Entertaining while being historically accurate mixed with fascinating characters leaves you unable to unplug the audiobook for any long period of time. The plot centers around a time travelers sent back to 1914 in order to stop the Great War. Naturally attempts to do this by stopping the assignation of arch duke Franz Ferdinand and by assinating Kieser Wilhelm II do not go as smoothly as planned by the Cambridge elite and its knock on affects gives the reader great pause about how some unlikely events lead to the formation of the world we live in today, when compared to other outcomes. Ben Elton's Time and Time Again is very similar, but yet so much different from Stephen King’s 11/22/63. Like King's novel, the protagonist travel's back into the past via a time-portal to stop a political assassination; Archduke Franz Ferdinand replacing President John F. Kennedy. 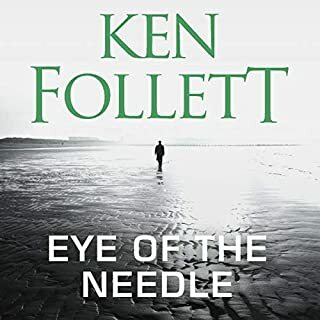 Yet unlike King's novel, Elton's protagonist, being a highly trained ex-SAS officer, has relatively little difficulty in achieving his mission. In what King only briefly explored, Elton instead devotes significant time to showing his readers (listeners) the consequences of his protagonist's success, the Butterfly Effect. 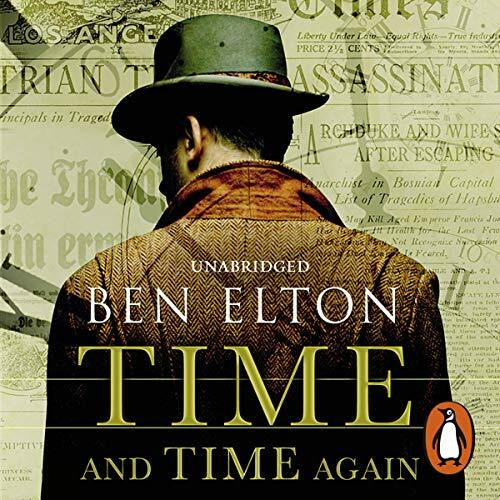 Ben Elton's “Time and Time Again” will haunt you long after you read (listen) to its final page. It is perhaps the most intelligently written time travel novel ever created. 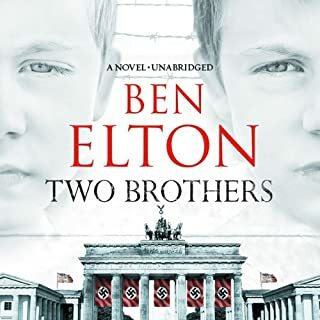 I have read some of Ben Elton's previous books and thought them to be quite well done. I think this book has been the best of the selection I have read. The main criticism would be that it appears Ben became bored and finished the book early. 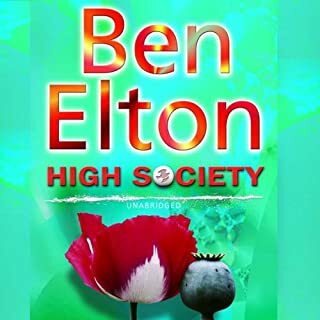 Really good- typical Ben Elton, not exactly great literature but the pacing is incredible and the story compelling. Absolutely loved it. Great of course, it's Ben. What did you love best about Time and Time Again? I love everything Ben writes* and have every book he's written. 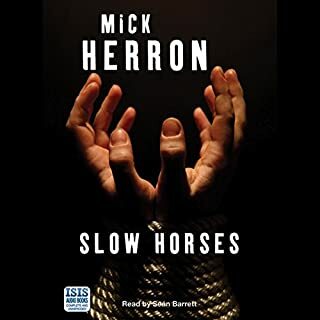 This is totally in keeping with his theme of - choose a topical subject, then write the most well researched, original, witty, intelligent, insightful, razor-sharp, entertaining and detailed book about it. With the most memorable and real characters in it. With this one, he's also following his recent theme of exploring WWI and II and everything that went on around them, which is obviously a personal interest for him. His take on time travel and it's repercussions is typically Ben - original, but about as realistic and down to earth as it's possible to get given the subject matter. *(one exception - Past Mortem, where he decided to leap over the boundaries of gruesomeness, way past what the average person - or at least me - could stomach. Don't get that one). Great. 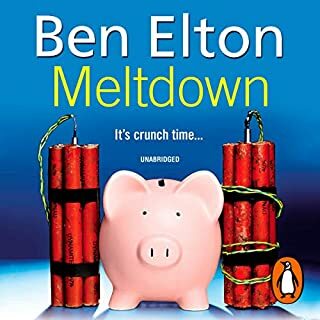 He does other Ben Elton books and is always good. If you like Ben, it goes without saying - get this book! But - don't expect the laughs of his older books, he's gone a bit more serious lately. If I had to give one negative point - I'd like it to have been a bit longer. If you don't know Ben but like great writing of the easy to read/listen and always absorbing and entertaining type - get this book. You don't have to be in to sci-fi or time travel at all - that's quite incidental to the story. When I listened to the first hour or so of the book, I had really, really high hopes. Great descriptive writing and at first, really deep character development. Initially, I found that the primary characters had real foibles and color to their personality. Something to get your teeth into, as far as caring about their lives and relationships. But it seemed the author got tired of furthering that development and let them slip into less depth than the beginning promised. I can't go int the most disappointing aspects of the character plot lines without spoiling several critical plot junctures, so I won't. I'll just say, I didn't like the shallow twist(s) that occur several times with several characters. I like science fiction type plots and this had promised to take its readers into a time-travel proposal without too much scientific glossing… just enough to suspend disbelief and to get the story moving. Unfortunately, as it moved along, it just felt like the book needed a little more guts to the temporal relationships. The narrator is pretty good… although his cadence often remained static and could have used a little more interpretation of emotion at times. 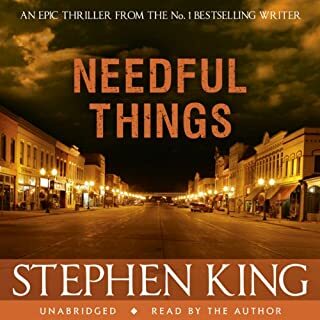 Overall, a good listen but not one where you miss the characters at the end, as I was sure that I was going to at the beginning. This was a mostly enjoyable read but there were a number of problems around the usual paradox considerations and the ending felt more like something from a short story rather than a novel. It feels like there were one too many or one too few rounds in the editing process or that there was a rush to wrap it up. The narration was mostly good but one character voice was so grating I would have stopped listening had she not eventually left the narrative. The history was pretty good and where it was not entirely accurate, the plot device provides a good excuse. I love time travel stories - but what I don’t love is when the author pushes his political views - this author is obviously a left wing socialist who buys into the global warming/global cooling, climate change agenda . 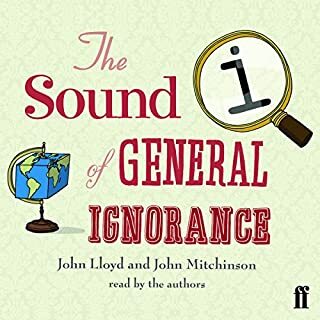 Good narrator except for female voices . I thoroughly enjoyed this and read/listened (with whisper sync) in just a few days. The general concept is very inventive and certainly gets you pondering the very question of time. I would agree with other reviewers that a very strong start to the book does not quite manage to make it through to the end - which is somewhat weak and unsatisfactory by comparison. However, again like another reviewer, I find it hard to see what else could have been done. 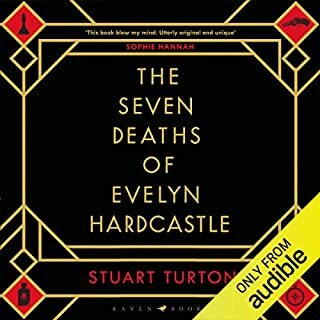 It is read very well in general, but the 'voice' used for Hugh Stanton was so at odds with my imagined sound of him that this did prevent me from giving the full 5 stars. 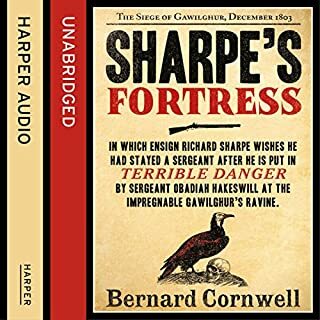 However please don't be put off by the few misgivings I have about this book, it may not be 100% perfect but this is well worth a listen. If you could sum up Time and Time Again in three words, what would they be? What was one of the most memorable moments of Time and Time Again? Would you listen to Time and Time Again again? Why? Yes - but not for a while, and as the plot depends on a few big twists towards the end I'd need to do my best to forget them. It's still an entertaining story, pretty well told. The big plot twist about an hour before the end. I didn't see it coming! No - but he's not bad. Some decent characterizations and he copes well with some of the author's occasionally clunky dialogue. Not really - a few moments are intended to (the Serbian flower girl, for instance, and the two love stories) - but it's too fast moving for these parts to have too much resonance. This is an odd one. I found the main idea and overall story to be thrilling and beautifully told, despite a few cheesy moments . (Stanton calling his mentor "Prof", for instance). The plotting is tight with some very fine twists and turns - one actually not that far into the book. The actual writing, however, struck me as a bit rushed and sloppy, as if the book were submitted without one final "polish". The ending is very hurried. I have no problem with what actually happens - it all just feels "reported" and tossed off in a few minutes whereas there is quite a lot of forensic detail earlier in the book. The twist an hour before the end, though, I didn't see coming at all, so I found very satisfying. So, both a very fine listen and a touch frustrating at the same time! Absolutely riveting....I thoroughly recommend this fascinating tale . Let humans never try to change the course of history. I loved everything about this story, and it was read so very well by the narrator. Gripping from the first page! What made the experience of listening to Time and Time Again the most enjoyable? 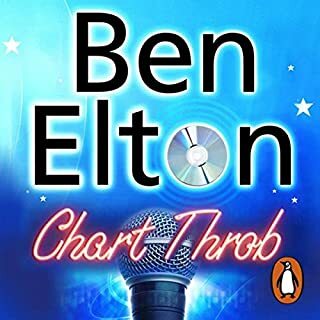 First Ben Elton book, and was not disappointed. Fast paced and gripping. I also learned the basics of the WWI and what happened, which I have always struggled with. Some great unseen twists too. Fast paced thriller about an attempt to reorder the course of history using a loophole identified by Issac Newton. 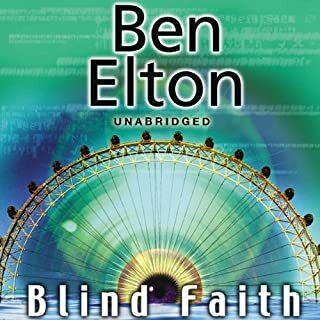 As with most of Ben Elton's stories, the novel just doesn't go where you expect it to go - in a good way. 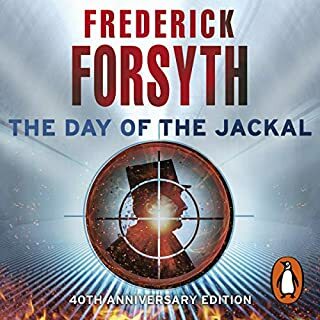 Jot Davies' excellent narration delivers the urgency required whilst keeping clear characterisation. Recommended. 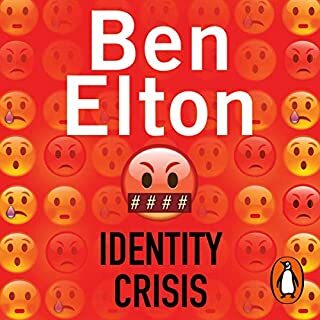 Ben Elton Impressed Yet Again! What did you like most about Time and Time Again? It's the kind of tale that you fantasise about as a kid. (Well I did,) it had the classic ending you kind of saw coming, but not in the way it came a delightful surprise. The narrator just about had the feel for our hero, and you almost got Bear Grylls does action. I loved the part where he finally realised that the Prof was behind what turns out to be a wholly evil plot! Yes would have happily done so if I had the time. It would make a cool Movie too!